A fun and playful springtime twist on the popular nursery rhyme “The Itsy Bitsy Spider”! 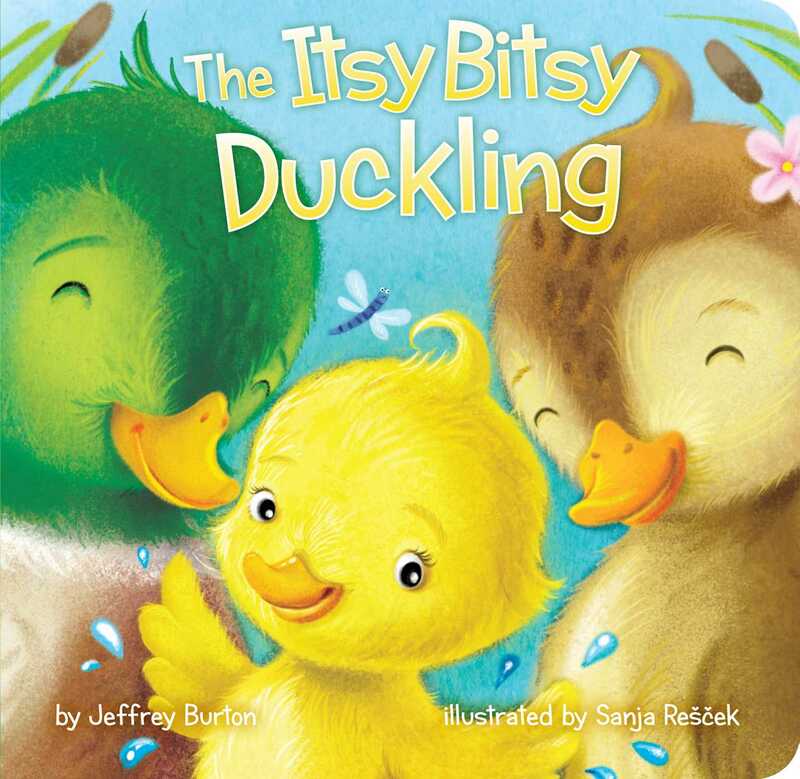 The itsy bitsy duckling swam in the waterway. Down came the rain and chased the snow away. Out came the sun as birds began to sing. The cold winter was over. At long last it was spring! The itsy bitsy duckling is ready for springtime as the other animals wake up from their long winter naps. Sanja Rescek studied graphic design at the Academy of Fine Arts in Zagreb, Croatia. She has illustrated more than one hundred books, which have been published in more than ten different languages. Sanja’s illustrations have also been featured on cards for UNICEF.